Have you ever heard of Evander Holyfield? Well, you’ve probably known this guy very thoroughly, if you are a boxing fan. Yes, this is the 5-time heavyweight world champion aka known as “The Real Deal.” And yes, you’ve guessed correctly – Real Deal Bet is the one of his latest investments. The bookmaking company is very young as it was found in 2015 by the cooperation of Evander Holyfield and a group of dedicated sports betting experts. It is known that the organization behind the scenes has more than ten years of professional experience. The company is still several months old, but it’s gaining popularity rapidly. And it’s not surprising with a star like Holyfield behind the brand. But let’s learn more facts about the actual bookmaker and leave the stories behind. 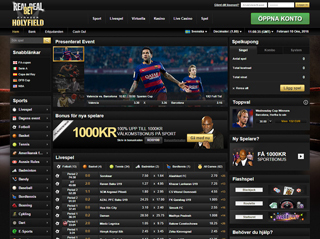 The web platform realdealbet.com operates under a license issued in Curacao. The license number is 8048/JAZ and ensures that anything with this online bookie is well monitored and regulated. Real Deal Bet focuses mostly on the European and UK online betting market, but the bookmaker accepts players from different parts of the world. Unfortunately, US gamblers are forbidden to play with this bookie. Real Deal Bet is one of the most visited websites in the whole world. The bookie takes place in the top 100000. This is not an easy feat and most online bookmakers can only dream of such success. Realdealbet.com recently merged to 10bet.com and currently both companies are stronger and bigger as a whole entity. 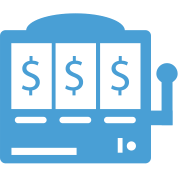 Real Deal Bet starts off stronger than most bookmakers with years of operations. The sportsbook provided by the young online betting provider holds 26 different sports and various special events. There is a large number of leagues and according to the Holyfield and company, there are more than 1000. The bookie also launches with full support for mobile users and live betting option available for most of the popular sports. The platform uses an extremely well-designed software provided by some of the best in the branch, namely 10Bet. We should mention the other gambling opportunities as well. The live and standard casino platforms are both supported by Microgaming, which is a sign of professionally handled and exciting casino entertainment. Of course, there are tons of slot games, many blackjack and roulette variations, video poker and numerous other games. Virtual sports are also available for the registered users. The odds provided by Real Deal Bet are not bad at all and are strongly influenced by 10Bet. For example, the overall betting margin is identical, and it’s calculated at 6%. The odds can be displayed in three formats – American, Fractional, and Decimal. There is a minimum betting amount set to €0.10, and the winnings are always capped at €50 000 per day for each customer. The betting limit varies for different events and sports. However, players have the option to request a higher wager by submitting it to Real Deal Bet’s traders. These requests can be approved or declined with a counter offer. When it comes to football betting, you probably think that Real Deal Bet is fully dedicated to boxing. In fact, Evander Holyfield and his crew of betting experts are well prepared for the football fans. They are providing extremely good betting options for every football betting lover. Users can enjoy 1X2, Under/Over, Total Goals, Asian Handicap, Total Team Goals, Draw No Bet, Double Chance, Exact Score, Both Teams To Score, Half-time/Full-time, Odd/Even, Goalscorer, Head 2 Head, Penalty, Own Goal and many more. All of these amazing betting choices can be easily combined in complicated bet slips. There are Combos and Systems available, which are also known to the professional gamblers as Trixie, Goliath, etc. Security is highly valued by this online bookie and Real Deal Bet states on their website that all their databases and sensitive information are perfectly secured. The website employs SSL encryption (128-Bit) used to protect all transactions and private data transfers. The company also uses the auto-login feature and extremely secure firewall protection. Real Deal Bet has also invested in a good and well-trained customer care team that can handle all requests from the clients effectively. Any customer can reach out the representatives via email or phone and communicate with them in 5 different languages. The team is highly responsive and answers the inquiries relatively quick. Transactions can be made by some of the most popular methods employed by many other bookies. Deposit options are extended compared to the withdraw ones. Some minimums apply to most of them, such as €10 for most the deposit choice and €25 for the bank transfer and EcoCard. Some charges may apply on some of the withdraws. For example, credit cards and bank transfers have an additional fee of €5. Also, Real Deal Bet uses minimum amounts for the withdraws as well. The e-wallets are set to €10, credit cards to €20 and €50 for the bank transfer. A certain limit of € 20 000 is allowed for withdraw in a 30-day period. Real Deal Bet greets new players with an exciting deposit bonus. On a minimum deposit of €15 new players can receive 50% of their initial investment with a max value of €100. 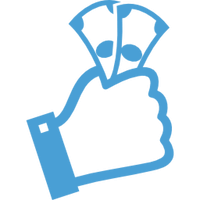 For example, you can achieve the maximum awarded bonus by depositing €200. The promotion is obtained via special promo code – FD10BET that should be used in the transaction process. After that, the new player has 90 days to rollover the gift no less than five times. The requirement odds are above 1.60, and certain types of bet are forbidden, such as Handicap and Over/Under. Loyalty programs and referral bonuses are not available at the moment, but there are on-going hot deals and promotions all the time. Online betting enthusiast can benefit from various seasonal and special sports bonuses that are constantly updated on the bookie’s promotion page.